The Alnico Magnet contains the elements of Aluminum, Cobalt, Nickle Alloy etc, which can be made either by casting or sintering process. 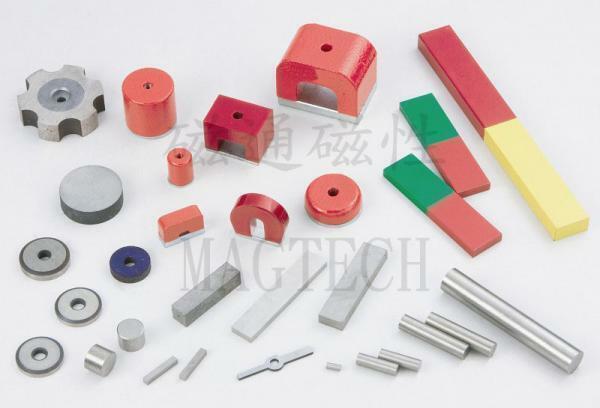 As having the features of both hardness and high working temperature parameters, they are widely used in many different applications with a wide range of magnetic properties. Meantime, an excellent corrosion resistance is also one of its features. However, the most disadvantageous point for this material is in low value of coercive force, which be possible to decrease the magnetic power during in use subject to using environment, we suggest you do discuss with us when ordering.